Flores hit his first big league home run on Saturday over the right-center field fence off Mets' starter Jacob deGrom in the second inning to give the Brewers a 2-1 lead at the time. Flores also produced a sacrifice fly in his next at-bat to score Aaron Hill. Flores finished the day 1-for-3 with a run and three RBI in the Brewers 5-4 loss. With injuries to Domingo Santana and Ryan Braun, Flores received a start in right field on Saturday batting eighth. Flores will get the occasional start in the Brewers outfield but is not worth fantasy consideration. 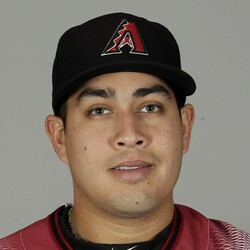 The 24-year-old Flores is hitting .195 with one home run, seven runs, nine RBI and one steal in 82 at-bats this season.